HELEN DAY FIFIELD ’80, MED ’86 died June 7, 2015, at the age of 82. Born to teach, Helen taught in three Christian schools in Burlington, Mt. Vernon, and Sedro-Woolley, Washington. In retirement, she lived in Boise, Idaho, and in the Grand Coulee Dam area in Washington. Known for her love of learning, books, and Jesus Christ, Helen is survived by her husband, Robert; a son; four daughters; 22 grandchildren; 22 great-grandchildren; and two great-great-grandchildren. DAVID GARINGER ’51 died June 5, 2014, at the age of 90. Born in Omaha, Nebraska, he grew up in Colorado Springs, Colorado. David, a U.S. Marine, learned the construction trade while serving in the South Pacific until the end of World War II. He studied religion at SPU and then went into the ministry. He served as a pastor in Glendale, Arizona, before joining the sales department at Sacred Records Inc. From there, he pastored a church in Tucson, Arizona. He also worked construction to make ends meet while working at the small Arizona churches. He earned his place as a master carpenter, left full-time ministry, earned a contractor’s license in California, and spent many years building and remodeling homes and commercial structures. David enjoyed teaching carpentry and drafting plans for most of the houses he built. He was an oil painter, photographer, and poet. As a member of Gideons International for 40 years, he spread the gospel of Jesus Christ by distributing thousands of Bibles. David is survived by his wife Zelma and their daughter. GREG GELDERMAN, EDD ’04, was a master teacher who made other teachers better. Named a Washington State Distinguished Principal in 1996, he invested many years serving Mukilteo’s Horizon and Endeavor elementary schools, and Everett’s Cedar Wood Elementary and Heatherwood Middle schools. 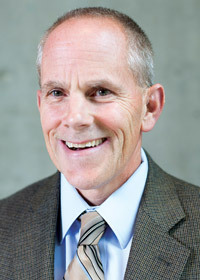 In 2004, he retired from the Everett School District and became an adjunct faculty member in Seattle Pacific University’s School of Education. At the time of his death, he was an SPU certification officer who helped graduate students wishing to become school administrators. “His signature provided assurance that thousands of Washington State educational certificate completers would positively impact tens of thousands of students,” says Daniel Bishop, SPU’s assistant dean of teacher and professional education. Greg died September 1, 2015, at the age of 62 while vacationing with his family in Eastern Washington. He was out on a morning bike ride when he was struck by a car whose driver was temporarily blinded by the sun. An avid sportsman, Greg liked to jog, ride motorcycles, waterski, and take boat rides with his children. He took up bicycling after hip replacement surgery in 2007. In July, he completed the 206-mile Seattle-to-Portland bicycle race in a single day. As a youth, Greg enjoyed helping out on his uncle’s farm on the Snoqualmie River. When he wasn’t milking cows, he mended fences, fed calves, and tackled whatever other chores needed doing. As an adult, nothing pleased Greg more than to be out in a boat with his children. He married Beverly Crane, one of his teachers from his undergraduate years at the University of Washington. They were married 38 years. Greg is survived by his wife; three daughters; his mother; one brother; one sister; and four grandchildren. GLORIA NOTMAN HIGH ’62 died February 16, 2015, at the age of 74. Armed with a degree in chemistry from Seattle Pacific College, she worked as a technician in an immunochemistry research lab at the Scripps Research Institute in California. She attended La Jolla Presbyterian Church, where her future husband, Darrell High, discovered her as she sang in the choir. He too joined the choir, which sang at their wedding in 1963. Gloria stayed home to raise their daughter, Lisa, then worked as a medical assistant and medical transcriptionist until her retirement in 2001, when she and Darrell moved to Texas to be near family. Gloria is survived by Darrell and Lisa; two grandchildren; and three siblings. THOMAS “TOM” HODSON ’53 died September 4, 2015, at the age of 84. Born in Ericson, Nebraska, he transferred from Central College in Pella, Iowa to Seattle Pacific College in 1951. The U.S. Marine was a Korean War veteran and member of the Free Methodist Church; he taught middle school math and science. He also managed Emmanuel Pines Camp in Prescott, Arizona. Tom was preceded in death by his wife, Barbara, and is survived by a son; two daughters; eight grandchildren; one great-granddaughter; five brothers; and five sisters. CARL KING ’55 died September 2, 2015, at the age of 85. Carl was orphaned at a young age and raised by his mother’s parents on their truck farm in Missouri. He was a hard worker who held jobs as a grocery delivery boy, meat cutter’s assistant (a job that later helped fund his education), soda jerk, bowling pin setter, dry cleaner’s assistant, and mason’s assistant to his stepfather. He met his future wife, nurse FRANCES JOHNSON KING ’54, at Seattle Pacific College. After receiving two master’s degrees — one in divinity from North Park University and one in religious education from McCormick Theological Seminary — Carl became a senior pastor for Evangelical Covenant churches in California, Illinois, and Washington state (where he pastored at four different churches). Carl said he had “a life of minimum regrets” when he retired in 1995 from 41 years in pastoral ministry. A comforter, counselor, and encourager, Carl is survived by Frances, whom he called “the perfect preacher’s wife for me”; two daughters; eight grandchildren; and a brother. Sophomore KOSUKE NAKAJIMA liked theology because of his strong Christian faith, and psychology because he liked learning about the brain. His muscular dystrophy compelled him to help others who suffered from psychological and neurological challenges. Kosuke died September 1, 2015, of an infection he developed while on a family vacation this summer in Barcelona, Spain. Kosuke’s family, including brother and Seattle Pacific University senior TATSURO NAKAJIMA, often heard him sing hymns and praise songs. One of Kosuke’s favorite activities was to host a chess and Bible study club for friends. He enjoyed history, especially of the American Civil War. 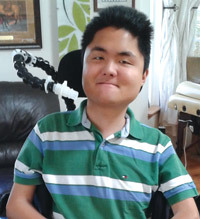 Despite having to use a wheelchair and though his physical limitations were many, Kosuke took joy in Christ, attending Seattle Pacific, and traveling with his family to a variety of locales, including Yellowstone National Park, Alaska, London, and Paris. Music was an important part of Kosuke’s life. “He especially enjoyed the traditional hymns of the church,” says his brother, who also has muscular dystrophy and with whom Kosuke took private music lessons. The lessons provided an invigorating hour each week of hymns, worship songs, folk, and pop hits, plus recorder lessons and kazoo for Kosuke, harmonica lessons for Tatsuro. Wind instruments helped strengthen their lungs. Kosuke also took a voice class at SPU. In the car, the brothers argued over the right radio station to listen to. Because Tatsuro was an English major, the Nakajima boys did not see much of each other during the day, but that did not stop classmates from mistaking one for the other. Professor Emerita of English ROSE REYNOLDSON died July 22 in Wenatchee at the age of 87. She taught English, creative writing, and poetry at Seattle Pacific University for more than 15 years before retiring in 1993. Reynoldson grew up in rural Western Washington during the Great Depression, where she and her family lived in a chicken-shed-turned-house without running water. She married Elmer Reynoldson not long after World War II, and they became parents to five children. Near midlife, Reynoldson began taking night classes in writing. By 1971, she’d earned a bachelor’s degree from the University of Washington; by 1974, she’d added a master’s degree in creative writing. 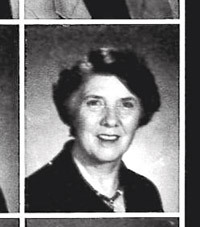 In 1977, she became an SPU faculty member. Known for encouraging her students to excel at writing poetry and fiction, Reynoldson also founded the SPU Christian Writers Conference in the 1980s. Until being absorbed by the Northwest Christian Writers Renewal in 2008, the conference welcomed writers of all levels to Seattle Pacific’s campus to increase their craft, network, and connect with agents and publishers. “Her vision benefited hundreds of writers from all over the country who came back year after year,” says LINDA WAGNER MED ’92, PHD ’12, former co-director of the SPU Christian Writers Conference. Reynoldson is survived by Elmer, her husband of 68 years, three sons, two daughters, 14 grandchildren, and 18 great-grandchildren, including MELODY MILLETTE ’07. Share your remembrances of Rose Reynoldson.